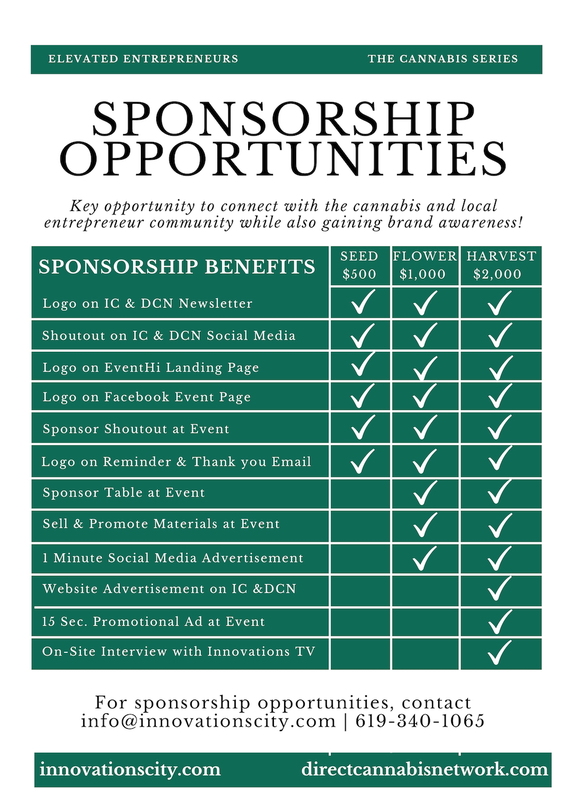 Innovations City and the Direct Cannabis Network are combining forces to host an exciting event for entrepreneurs and those interested in doing business within the Cannabis industry. 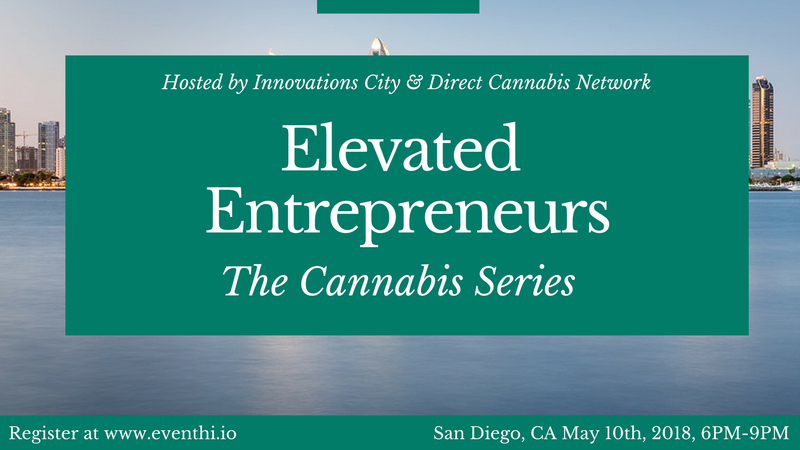 Don’t miss an evening filled with education, connection and insight from current entrepreneurs, investors, and key stakeholders who are at the forefront of growing the Cannabis and entrepreneurship ecosystem. Wondering what an investor looks at when investing in a cannabis startup? Wondering what the licensing process is like for processors, distributors and manufactures? Want to learn about the differences between launching a non-cannabis business and then a cannabis business? Mr. Eric Gomez serves as a Co-Founder, Chief Executive Officer and Founder Partner at Canopy San Diego after spending time at CanopyBoulder. 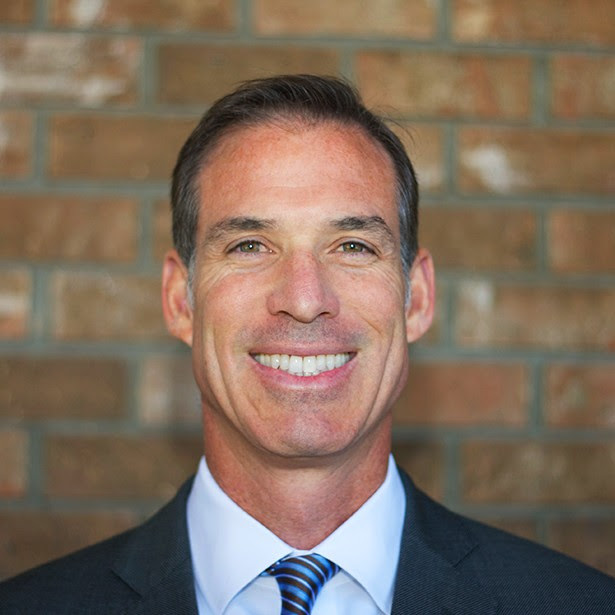 Mr. Gomez has experience in the angel investment community, as well as Fortune 100 businesses. 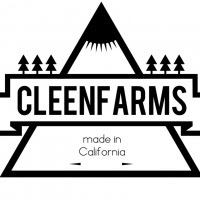 Michael is a Co-Founder and Partner of Se7enLeaf, a large-scale contract manufacturer, processor and distributor located in Orange County, CA. Michael has been deeply involved in the cannabis community over the last four years and is part of a strong network of business proessionals that seek to move the industry forward in a responsible and healthy direction. 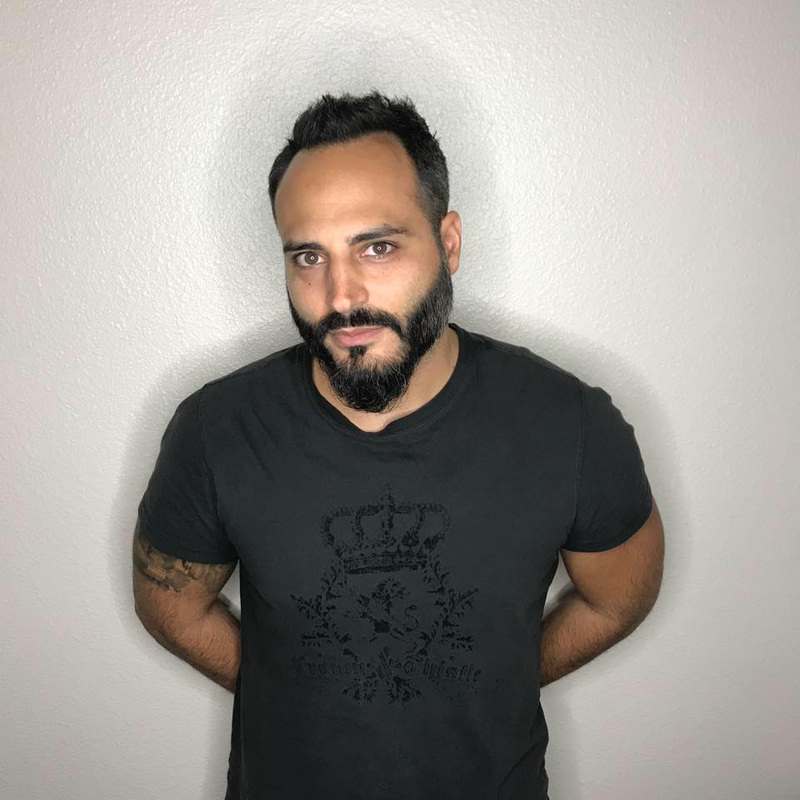 Yarnee is the Cofounder of Simplee, an ancillary service provider to Cannabis Businesses and CleenFarms as cultivator and curators of Cannabis products. Yarnee has extensive work experience in contract administration, project management, supply chain management and logistics.